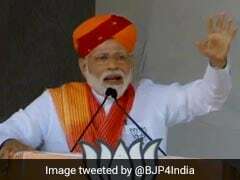 The prime minister will inaugurate a medical college and a hospital, and a new building at the local railway station in hometown Vadnagar today, officials said. There will also be an exhibition of photos at the canteen of the local railway station where the prime minister's father used to prepare tea. Narendra Modi in his childhood would often help his father and paternal uncle, and also deliver tea to train passengers. Vadnagar, Gujarat: Prime Minister Narendra Modi is on a two-day visit to his home state Gujarat, during which he inaugurated various infrastructure projects. On the second day of his visit today, PM Modi went to Vadnagar, his birth place, for the first time since becoming the prime minister in 2014. During his two-day tour ahead of the upcoming assembly elections in the state, PM Modi addressed as many as six rallies and launched various schemes and projects at five places in three regions of the state. 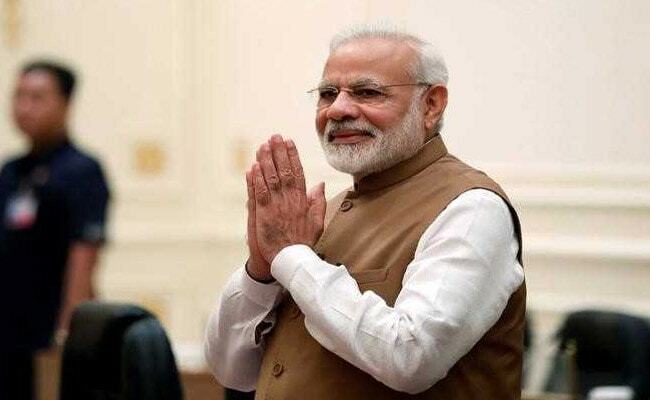 The prime minister will inaugurate a medical college and a hospital, and a new building at the local railway station in hometown Vadnagar today, officials said. There will also be an exhibition of photos at the canteen of the local railway station where the prime minister's father used to prepare tea. Narendra Modi in his childhood would often help his father and paternal uncle, and also deliver tea to train passengers. 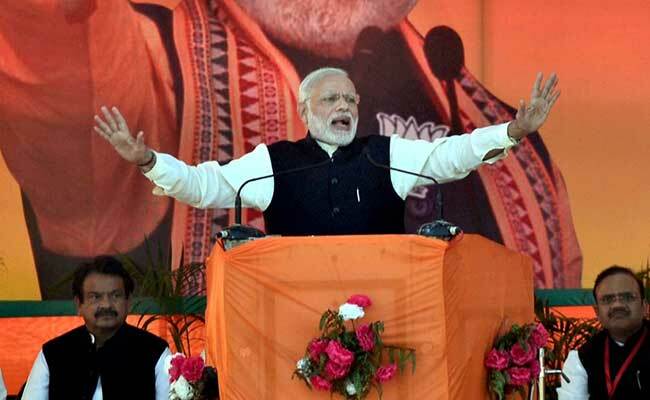 Prime Minister Modi might also hold a 'Chai Pe Charcha' programme. He will also hold a public meeting and address a rally in Vadnagar. 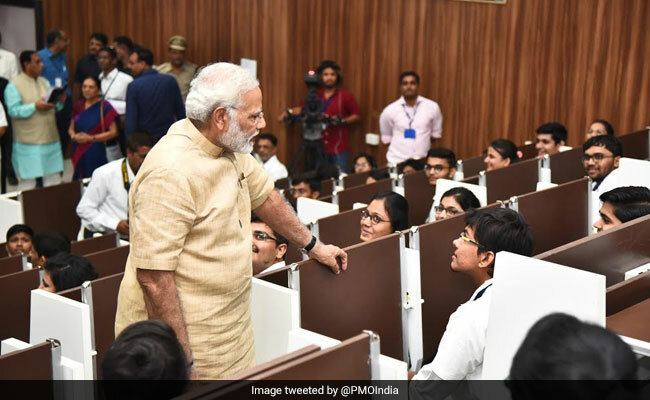 PM Modi also visited his school where he knelt and touched his forehead to the ground. He also offered prayers at the Hatkeshwar Mahadev Temple. On a visit to his poll-bound home state Gujarat for the third time in less than a month, PM Modi yesterday launched and inaugurated a plethora of projects, and slammed the Congress party for questioning the state's development model. He had also said that the recent changes in the GST regime giving relief to small and medium businesses have been hailed across the country as they kindled the festive mood of Diwali a fortnight before it is celebrated. 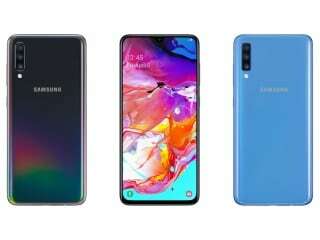 He had also made a strong pitch for bridging the digital divide, calling digital literacy an important element in good governance and transparency. 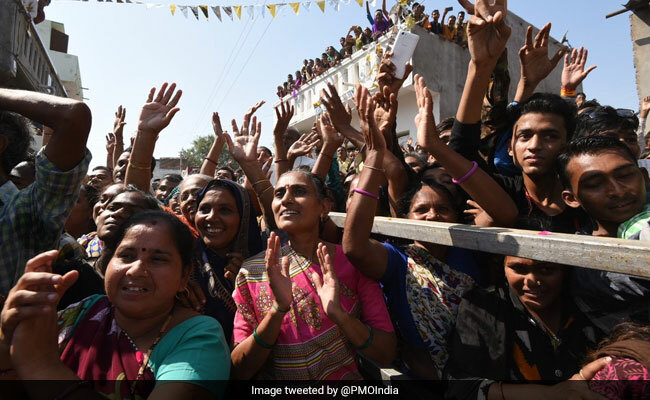 Prime Minister Modi, who is visiting his hometown for the first time after becoming Prime Minister in 2014, had on Saturday tweeted about his visit. 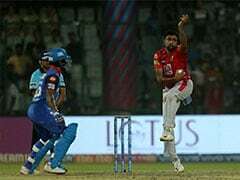 "I look forward to visiting Vadnagar. This visit will bring back several memories from my childhood." The city has been decorated with flags and buntings for the visit of the Prime Minister. Hundreds of people gathered along the route to welcome the Prime Minister as he arrived in a black Range Rover SUV and waved to the crowd. People cheered and showered flowers on him. Acknowledging the overwhelming response, Modi stood on the step of his moving SUV and waved at people all along the route from the helipad on the outskirts of the city to a newly-built medical college. The entire city was decorated for the grand welcome of the prime minister. 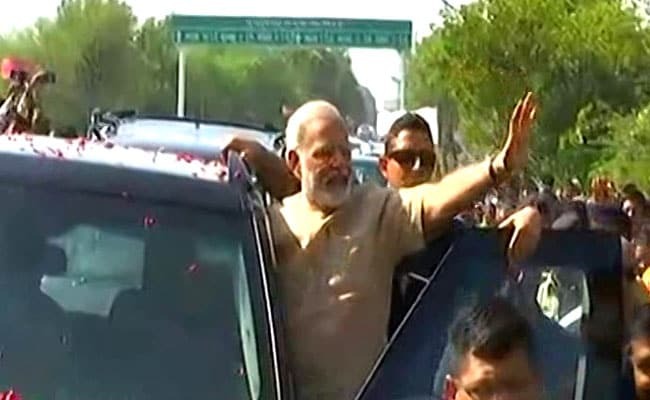 There were chants of "Modi-Modi" and flowers were showered on him at several places along the route of the roadshow. The locals told mediapersons it was a matter of great pride that the "son of the soil" was the prime minister and was visiting the town after a long time. 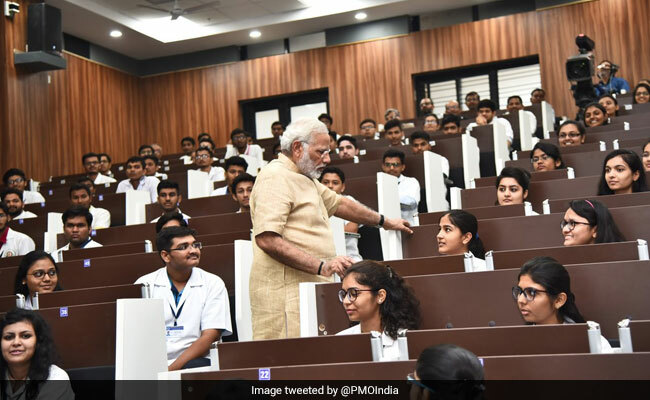 PM Narendra Modi today inaugurated the Rs 500 crore GMERS medical college and interacted with the medical students in the classroom. 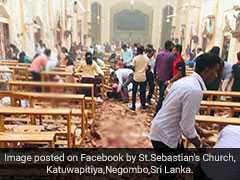 "We as a society require more doctors who can serve people," he said. The hospital is set to cater to lakhs of patients in North Gujarat and south Rajasthan, which borders the region. GMERS stands for Gujarat Medical and Education Research Society. 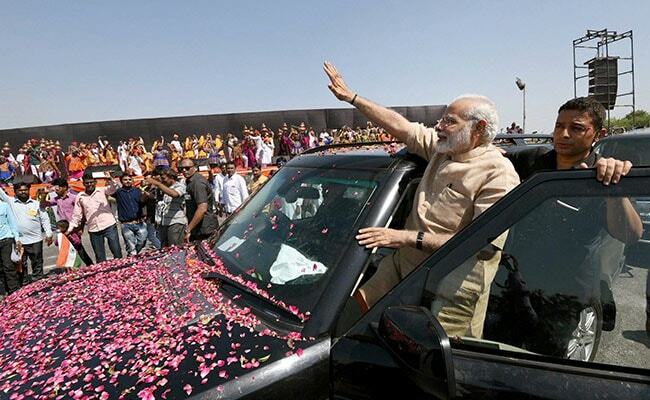 Prime Minister Narendra Modi was given a grand welcome as he visited his hometown Vadnagar. Local residents cheered for him from the streets and on top of buildings nearby. They showered him with flowers and rose petals. Narendra Modi, who was raised in Vadnagar, returned to his hometown for the first time since becoming prime minister. 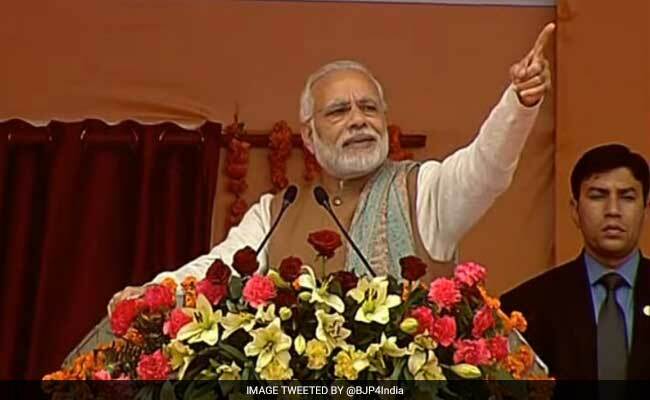 Prime Minister Narendra Modi was given a grand welcome as he visited his hometown Vadnagar. As people cheered for him, he stood out of his Range Rover SUV and waived to the crowd. People showered him with flowers and rose petals. Coming back to one's home town and receiving such a warm welcome is special. Whatever I am today is due to the values I have learnt on this soil, among you all in Vadnagar. Whatever I am today, it is because of the soil of this land and blessings from you all. I go back with your blessings and assure you that I will work even harder for the nation. We brought prices of stents down. Work is constantly being done to make healthcare affordable for the poor. I urge you all to make 'Mission Indradhanush' a part of your lives, so that your child or children are safe and get proper medical attention. During this visit and the previous one, I have had the opportunity and good fortunate to inaugurate some big and crucial projects that will benefit Gujarat greatly. The government in the state is doing a stellar job to ensure that Gujarat develops at a rapid pace. They are working hard to ensure you all get the maximum benefits. I thank the state government for all their efforts. Today I met youngsters from a medical college. We as a society require more doctors who can serve people. Education, skill, science and technology is what will take India forward to a ensure a bright future for the coming generations and the nation as a whole. 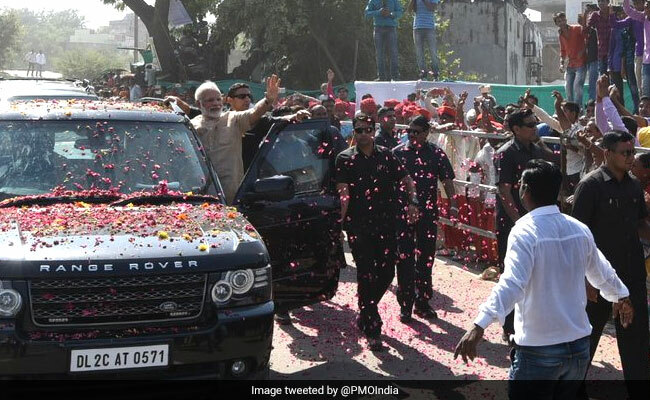 Here's a photo of Prime Minister Narendra Modi's motorcade during a mega roadshow in Gujarat's Vadnagar. 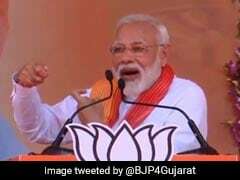 BJP leader Shahnawaz Hussain tweeted about Prime Minister Modi's visit to Vadnagar, saying, "People of Vadnagar must be so proud to see Narendra Modi as the Prime Minister today." Total #Modi fever in #vadnagar . People of #vadnagar must be so proud to see @narendramodi as the Prime Minister today. Gujarat's Vadnagar today welcomed Prime Minister Narendra Modi, who made his first visit to his hometown since taking over the top job in the country at the head of a colourful roadshow. 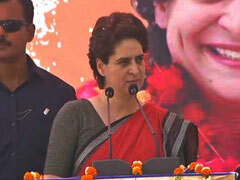 The Prime Minister was in Vadnagar to inaugurate a multi-speciality hospital and address a rally. Vadnagar, Narendra Modi's hometown, celebrated in festive style as its boy returned as Prime Minister. From firecrackers to 'Aarti', the small town in eastern Gujarat came alive. During his two-day tour ahead of the upcoming assembly elections in the state, PM Modi addressed as many as six rallies and launched various schemes and projects at five places in three regions of the state. Prime Minister Narendra Modi is on a two-day visit to his home state Gujarat, during which he inaugurated various infrastructure projects. On the second day of his visit today, PM Modi went to Vadnagar, his birth place, for the first time since becoming the prime minister in 2014. For all the highlights of 'Day 1' of Prime Minister's two-day visit to Gujarat, click here.